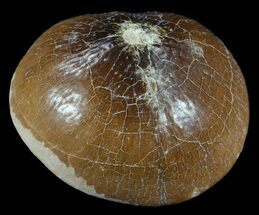 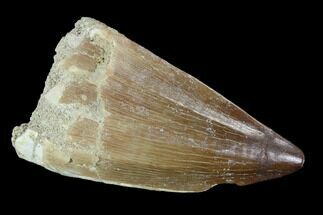 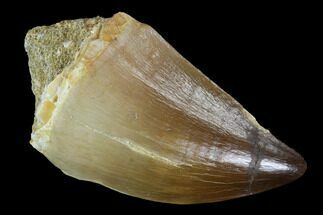 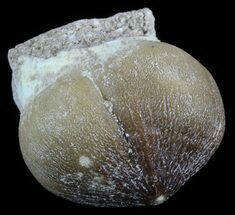 This is a fossil tooth of the Mosasaur, Prognathodon, from the Upper Cretaceous phosphate deposits near Khourigba, Morocco. 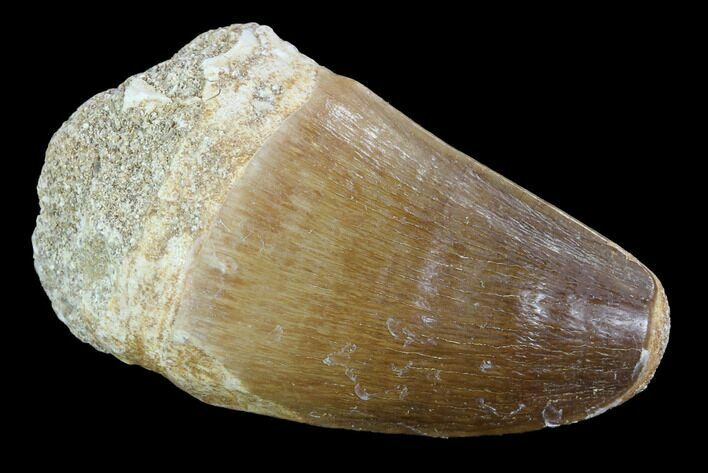 These teeth are collected as a byproduct of the massive phosphate mining operations near Khourigba. 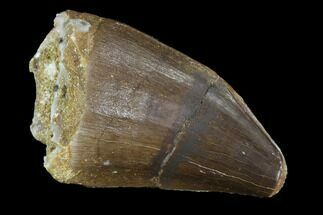 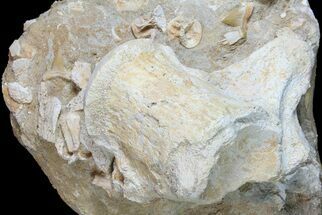 The locals collected the teeth and other fossils saving them from certain destruction by rock crusher. 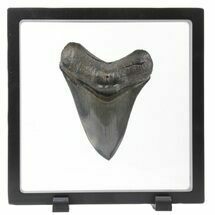 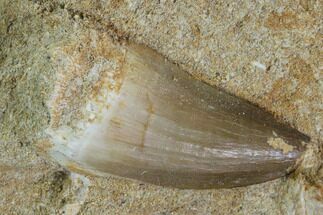 There are as many as 10 different species of Mosasaurs in these deposits, and determining the species of individual teeth is often difficult. 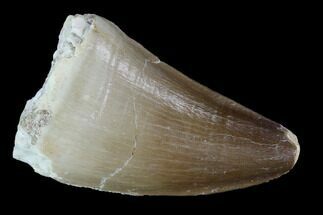 A tooth morphology guide is linked below. 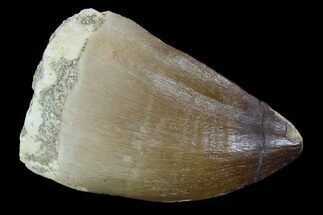 Tooth morphology of mosasaurid species from the Maastrichtian Phosphates of Morocco.